Congratulations to the following Health and Physical Education Teachers for being named 2018 Teachers of the Year. Please join us at the State Convention, Wednesday, October 24 – 25 at the Phoenix Convention Center to honor these individuals and to thank them for their service to our profession. 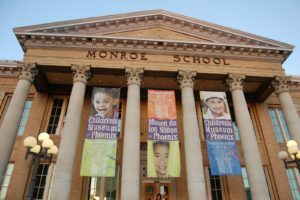 Arizona Health and Physical Education will present the Teacher of the Year Awards at the Honor and Recognition Night which will be held on Tuesday, October 23 at the Children’s Museum of Phoenix.